Director Woolie Reitherman called The Jungle Book "that little movie". Its 1967 budget was a modest $4 Mill., ( just under $ 30 Mill. in today's dollars). I saw the film way back in Germany during its first theatrical release, and all I can say is that it became a HUUUGE movie. 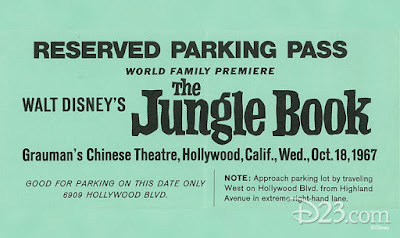 Lines around the block for movie tickets, almost always sold out. 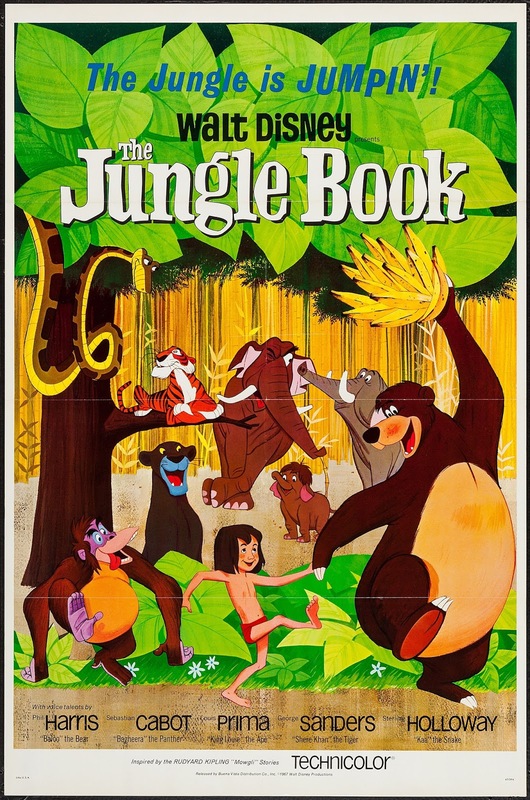 Over the years The Jungle Book was re-released several times, and as of today it is the most watched film (live action or animated) in movie theaters of all time in Germany. If this film had failed at the box office, Walt Disney Productions would have most likely shut down its legendary animation department (This according to Frank and Ollie). 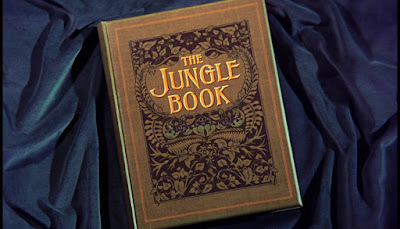 Luckily it was a huge hit worldwide, grossing over $ 205 Mill. ($ 1.5 Bill. in today's dollars). And yet a lot could have gone wrong with this production. 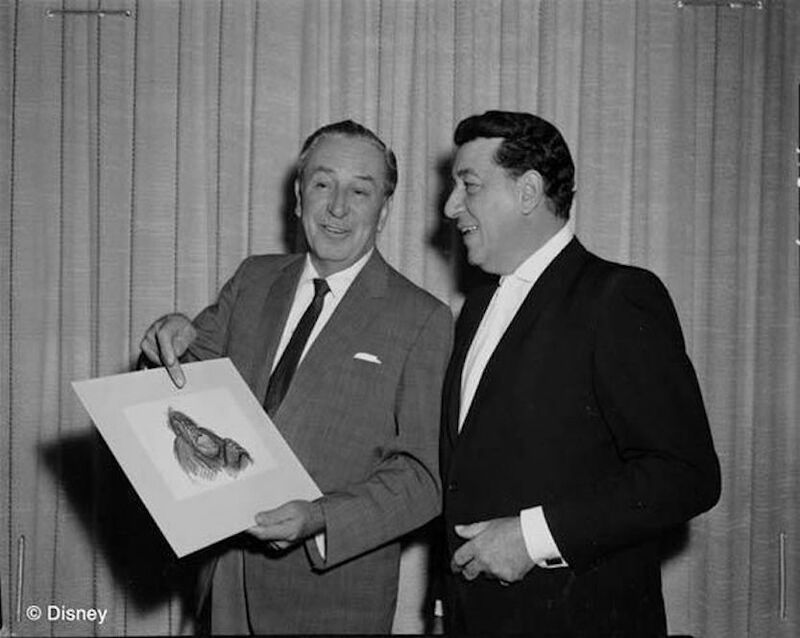 Walt Disney died before the film was finished. 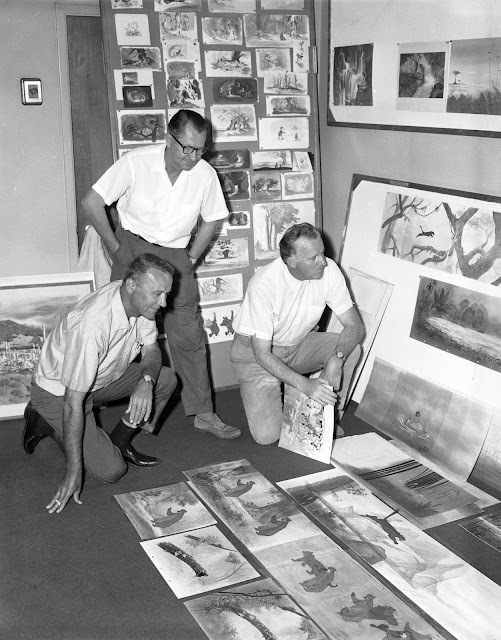 Top story artist Bill Peet left Disney over creative differences. 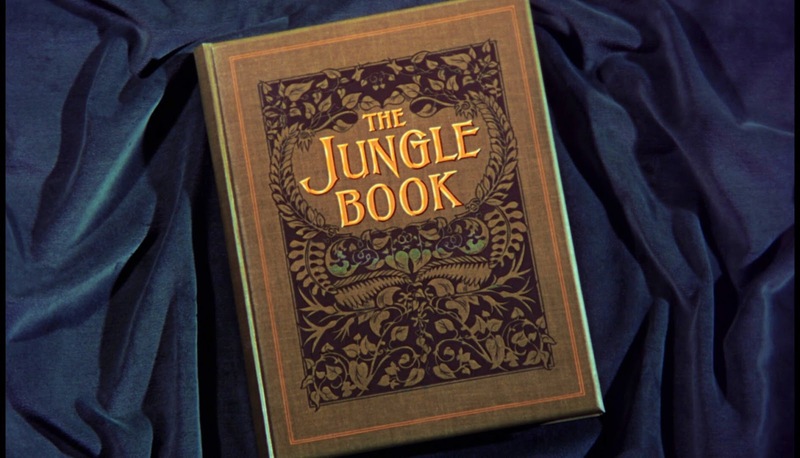 The film's plot deviated greatly from Rudyard Kipling's original book. 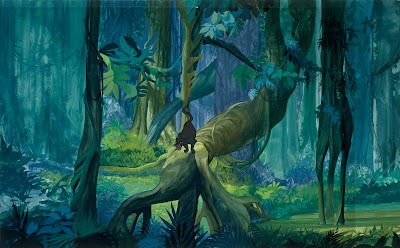 Mowgli's much simplified story was told with musical Jazz numbers in the Indian Jungle, a concept that sounds absurd. But in the end everything fell into place. The very simple story line allowed the animators to fully develop their personalities through breakthrough animated acting. The main characters' relationships are extremely well worked out, and you really get to know them. So here's to The Jungle Book at 50! A film that changed many people's lives including my own. A look back at some of the artists involved in the film. Walt Disney showing a Ken Anderson sketch of King Louie to singer and musician Louis Prima, who voiced the character in the movie. 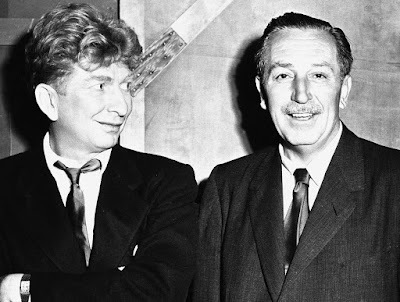 Sterling Holloway (the voice of Kaa, the snake) and Walt. 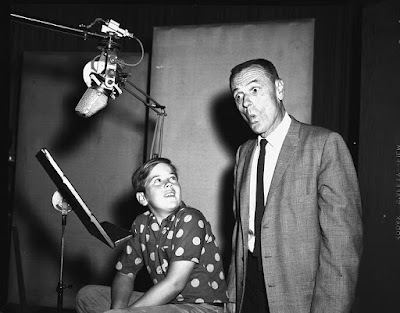 Director Woolie Reitherman working with his son Bruce on dialogue for Mowgli. 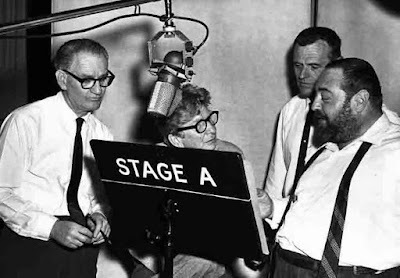 From left to right: Writer Larry Clemmons, Sterling Holloway, Woolie and Sebastian Cabot (Bagheera). An experimental background, most likely painted by Walt Peregoy. 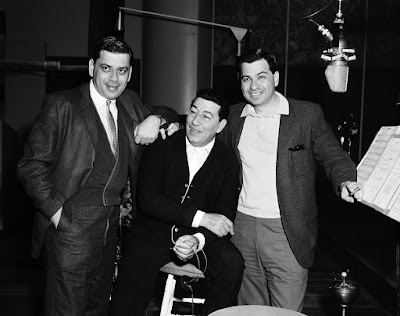 Songwriters Robert and Richard Sherman with Louis Prima. 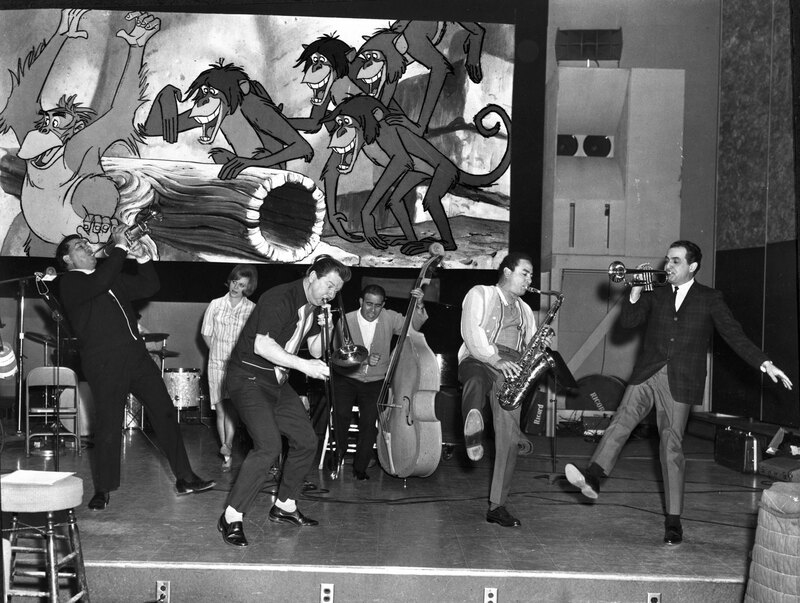 Louis Prima (on the far left) and his band performing "I wanna be like you". 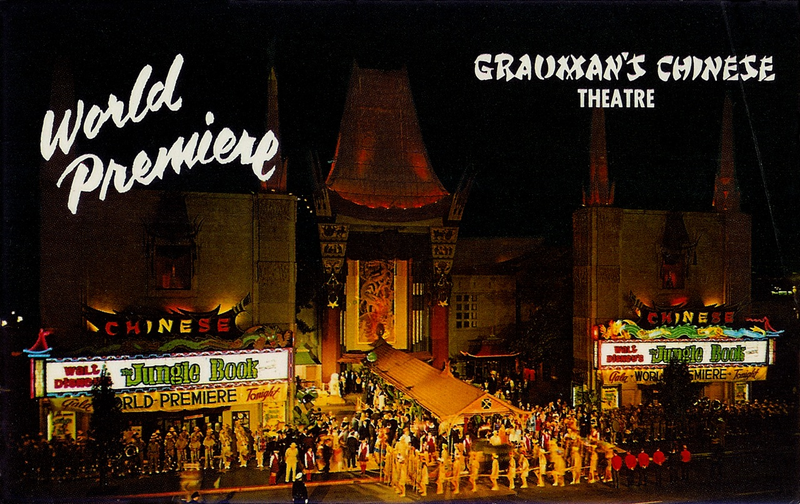 The world Premiere in Hollywood. 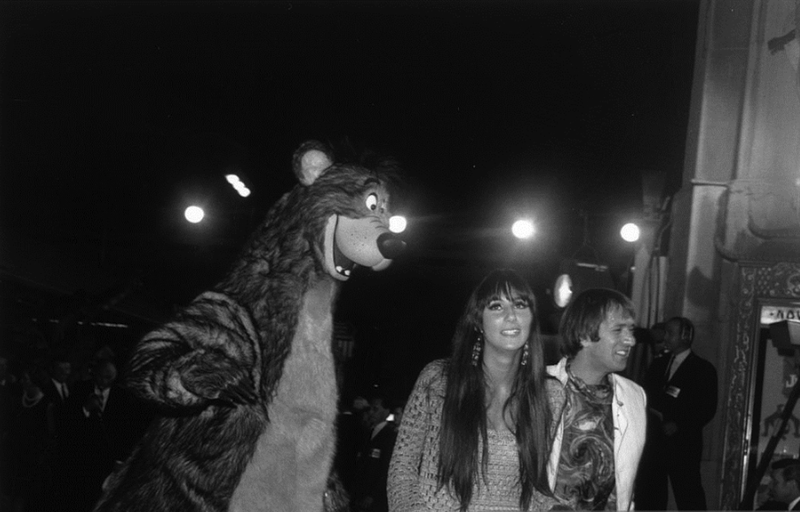 Sonny and Cher at the premiere. 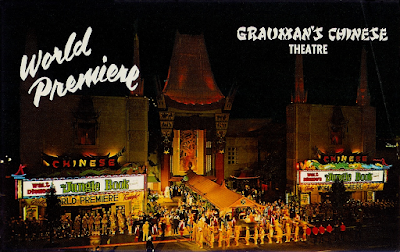 The original first release movie poster. To be honest I was never crazy about this depiction of the characters in this composition.